huh? i guess for older non-electronic coffee makers it'd work. fill it up, turn it on / off remotely or at a set time. for coffee makers that have an electronic on or "start brewing" button, probably not. Got this 2xplug a week ago and used for light control on and off. Compared to other similar products, this CE wifi product is little and easy to control over the wifi or your LTE data after you installed it in 2 minutes. you can programme it and set time for turning on or off. So convinient for remote control. Even you can use it for your rice cooker, not only for lighting fixtures. But to be sure you can use it, please connect it with 2.4G signal. 5G wifi may not work. 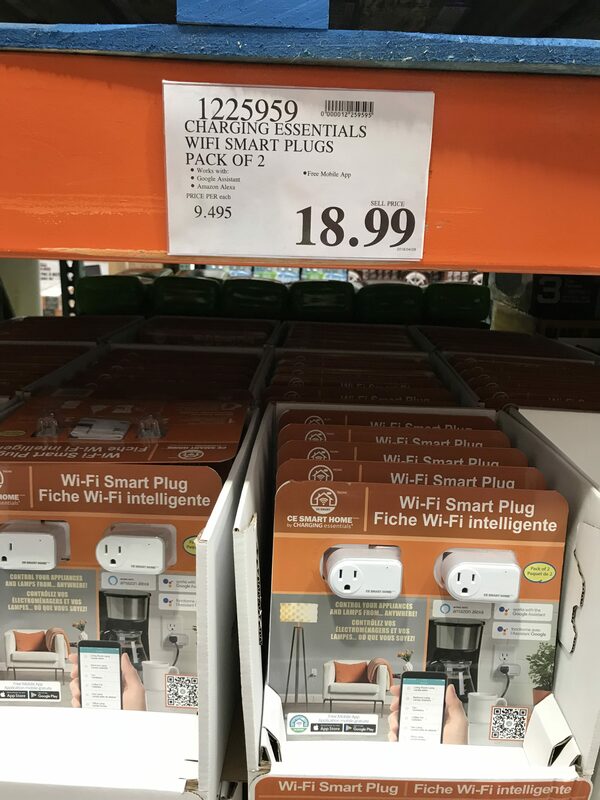 Quick question for the tech savvy, i bought two of the smart plugs from costco and installed them within minutes using its CE Smart App. I also want to purchase some smart switchs but they will most likely be from a different brand. Is there a all-in-one app that will allow me to manage multiple smart plug/switches of different brands? Thanks! I'm using Google Home to control these, as well as TP-Link smart switches. i only got the CE smart plugs so far. i use the CE app to set the timer, and yeah, use google home for voice control. 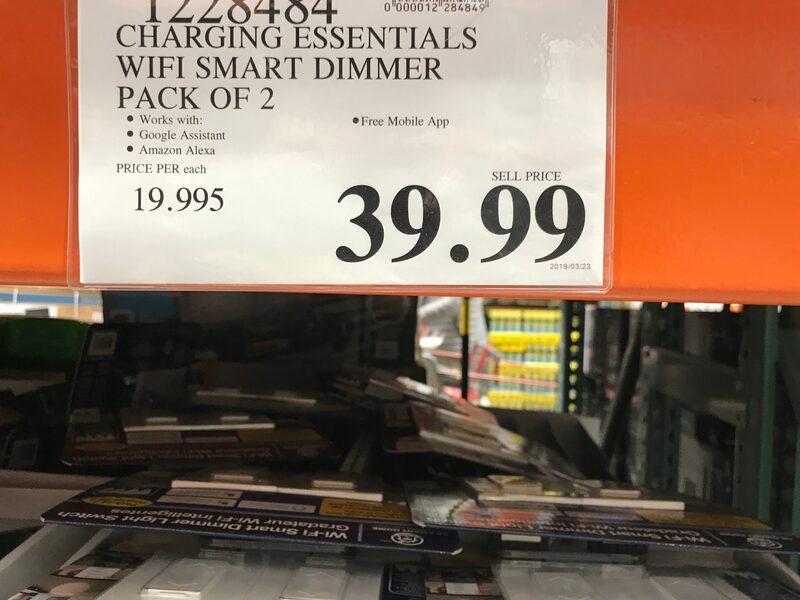 Many of these cheaper Smart plugs/bulbs/switches (like the one from Costco and "Merkury" from Walmart) are based a chip known as ESP8266, so you can use an single app called "Tuya Smart" to control them. Unfortunately, the bigger brands (Philips, Belkin Wemo, TP-Link, Zigbee) use their own protocol. That being said, like Tapout123, I've put everything under Google Home, as well as my Philips Hue, and everything works like a single system. 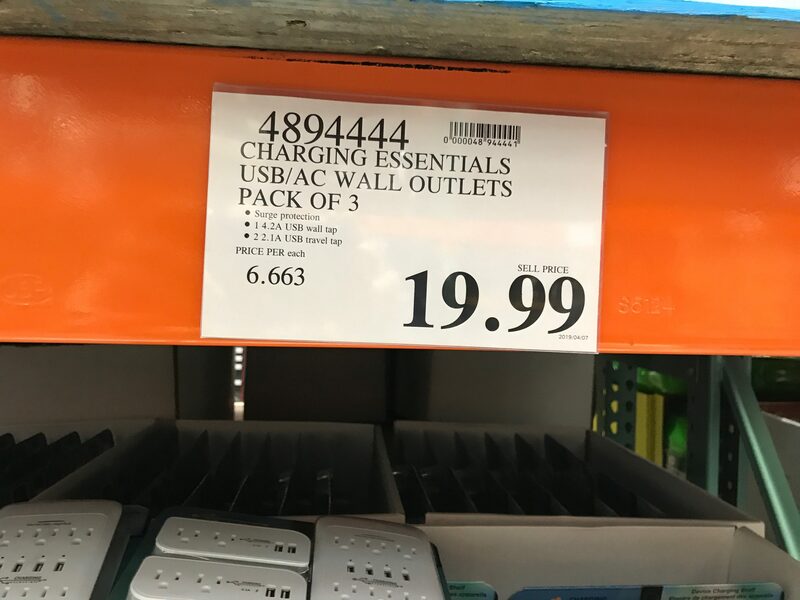 I was passing by the Barrie Costco today and picked up a pair of the light switches. There were plenty of them as well as the wifi plugs too. How much were they going for today? 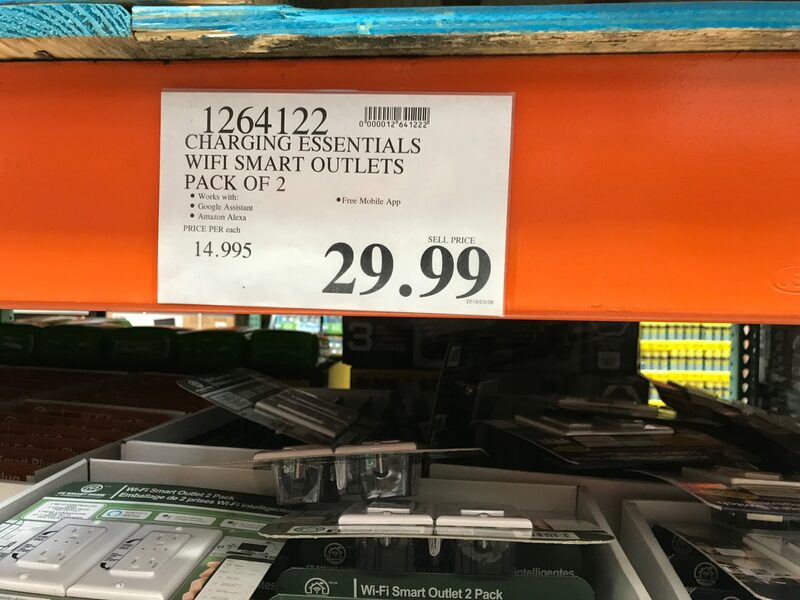 Wifi plugs are 18.99 now. 100’s avaiable are multiple locations, potential of further drop in price. I have noticed some of the dimmers lately going on and off wifi. Worked flawless until a couple weeks ago where one started bugging out and now I have two. Anyone experience the same thing? Last edited by srialva on Apr 8th, 2019 10:52 pm, edited 1 time in total. Mississauga; Winston Churchill and Dundas. You can call ahead or even check at kitchener Costco, on your way.